Welcome to The Harp Connection! Have you heard about our new location at 1000 Haverhill Street in Rowley, Massachusetts? Halfway between Boston and Portsmouth, N.H., our office is just off I-95 and provides easy access for all our New England customers. Remember our showroom hours are by appointment only, so please contact us if you are planning a visit. The Harp Connection is a regional harp center located in Rowley, Massachusetts. 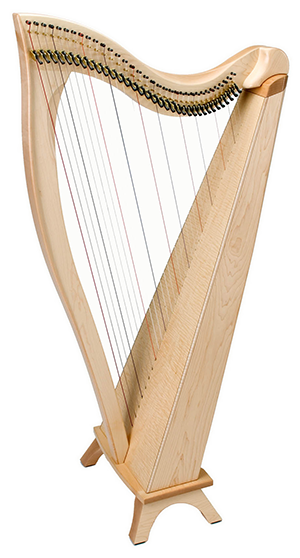 Here on our website you will find a wonderful selection of harps for sale, plus an online store filled with harp strings, harp sheet music, and other harp accessories. Thank you for visiting! Seasons Greetings! - The Harp Connection will be closed for the Holidays from Saturday, December 22nd through Tuesday, January 1st, re-opening on Wednesday, January 2nd. 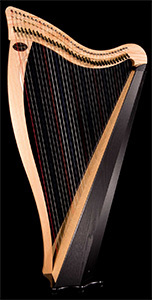 Concert-Grand Pedal Harps and Semi-Grand/Petite Pedal Harps by Lyon & Healy and Salvi are available in our showroom. We stock the Lyon & Healy and Salvi pedal harps right here in our Rowley showroom. We can also work with the factory to get you the exact pedal harp you want. Check out our current pedal harp inventory. 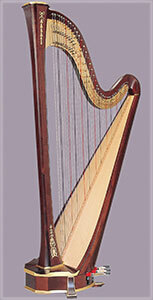 A Lyon & Healy lever harp is a perfect choice for someone who may go on to pedal harp some day. We rent nationwide. 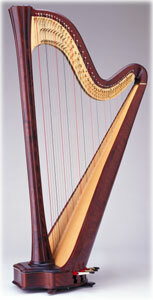 The Lyon & Healy Ogden, Troubadour and Prelude are the most popular student harps sold in America. Need a teacher? Check out our Teacher Directory. Your teacher can help you pick the right model for yourself or your child. 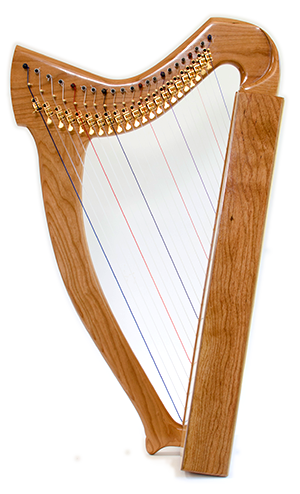 We bring you the best Celtic harps available anywhere, and most are available in our rent-to-own program. Celtic Lever Harps feature a lighter string tension and descend from the Irish harp tradition. You won't find a better selection of Celtic Harps than right here in Rowley, Massachusetts. Harps Of Lorien provides hand-crafted hardwood instruments from their workshop in Questa, New Mexico. Our 22-string Sasha harp is great for travel and vacation, while the larger 26-string Raphael harp is specifically designed for therapeutic settings. Strung out about a broken harp string? Need strings for harp? No problem! Use our Harp String Finder to zero in on the exact strings for your harp, or search by Octave and Material. 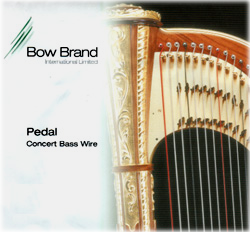 You can also browse our complete Bow Brand Harp String selection page-by-page. We stock strings by Bow Brand, Pirastro, and Dusty Strings, and ship same-day by the economical US Postal Service for direct delivery to your home or studio. 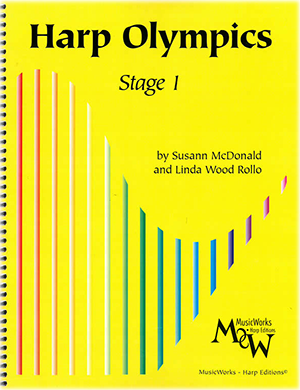 Harp Sheet Music - Browse over one thousand titles in our on-line store! Our harp sheet music data base can be searched By Title or By Composer-Arranger. Have a particular interest, looking for student pieces, or just like harp music? Our Advanced Music Search engine is for you. We ship same-day by the economical US Postal Service for direct delivery to your home or studio. Business Hours: Our business hours vary during the week; please call us for more information. Harp Showings are by appointment only. 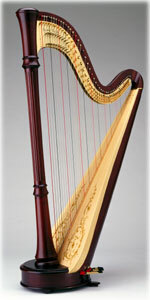 Please call ahead to reserve time in our Harp Showroom or to schedule a Virtual Harp Showing. Rental paperwork is required for approval before the scheduling of your harp showing. Questions, comments, or looking for something special? E-Mail us! © 2019 The Harp Connection, Inc.